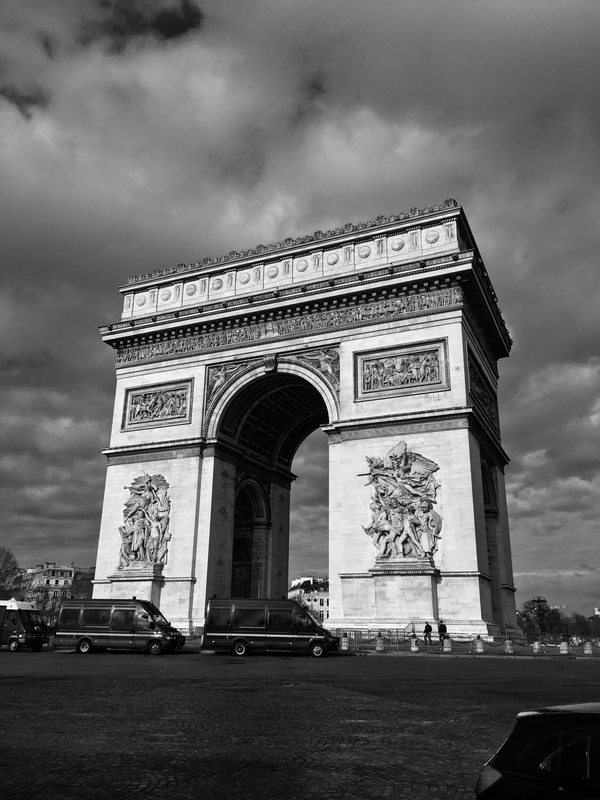 France | Poverty, Agony, Distress & Want! I’m not going to lie…I’m beat. These trips are great, but they take a lot out of you. Even though I slept well, it was tough to get out of bed this morning. Obviously the late night did not help matters. I know, here I am complaining about being tired after 10 days in Europe, while my colleagues get ready to go back to work. Poor Dave. That being said, they didn’t spend the time and energy planning the trip and actually executing it. Whatever, I’ll do it again in a quick minute, and I will! So to add to the misery of leaving, our flight to Toronto is delayed. There was a fire at Pearson, so it has had a domino effect on flights. We were supposed to leave at 11:30, but now it looks like 2:00. 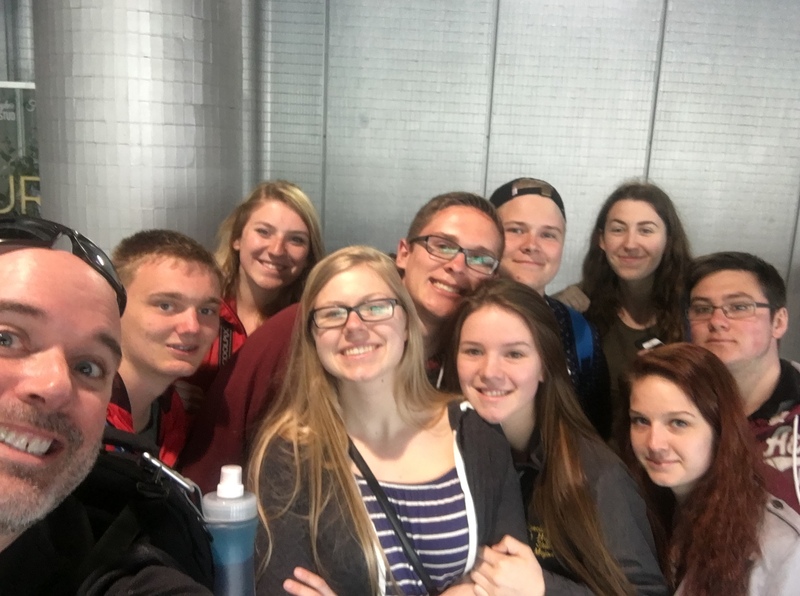 The problem with that is we likely will not make our connection to Thunder Bay, since that will only leave us 20 minutes between our arrival and the departure of the next plane. I’ve never experienced this, so it will be interesting to see how it all plays out. Alright, so we’re now “comfortably” ensconced at the gate, patiently waiting for our flight to leave. Only 3.5 hours to go! What the heck are we going to do for all that time? Sweet Jesus…I just want to go home. This is seriously testing my OCD. I’ve been abandoned by my group too, left all alone with everyone’s belongings. Air Canada graciously gave us 12€ to spend at McDonald’s, Starbucks, EXKI, Brioche Doree and some other place. Hmmmmmm, how much will that buy us in overpriced airport shops? Probably a bottle of water and that’s it, but I guess I’ll need to find out for myself. I will need to eat soon, as breakfast was once again terrible. Okay, so hopefully we will be able to board our flight in the next hour. I took my voucher and surprisingly was able to buy a decent lunch. Who would have thunk? A baguette with ham and cheese, a strawberry yogurt dessert and water cost 11€30. Not bad. On the flight front, we are now scheduled to arrive at 5:03, which leaves us 30 minutes to make our next flight. That isn’t enough time, but I’m hopeful since we take up the whole plane, that they will hold it for us. In the air now, Toronto bound. We’re stuck at the very back again, however my row only has two seats, so Gibby and I have a bit more elbow room. The moving map on the plane tells me we should arrive at 4:48, so let’s hope we can make our flight to Thunder Bay. Maybe as I mentioned earlier they will hold the plane rather than trying to get 48 people on another flight. Fingers crossed. They’re working on lunch, supper or whatever you call this meal. I wonder what’s on the menu? The one on the way here wasn’t bad, so let’s hope we get something similar. I’ll be back after I eat and have a nap with my review. Stay tuned. The “meal” and a nap are in the books. So, again I’m impressed…that’s two in a row Air Canada! We were served what I think was BBQ Chicken with carrots, mashed potatoes with corn, bread and a cookie. I passed on the quinoa. In my opinion, it was better than some of the meals we had in Europe, but that’s just me. Now just to sit here and stew until we land in Toronto, staring at our arrival time, which is now 4:54. Hopefully I don’t pick up some strain of the plague while I’m at it; the guy to my right back across the aisle has been hacking up a lung the entire flight! Thunder Bay here we come! Obviously we made it, but it was quite the ordeal. We landed at 4:52, and quickly found out that our flight home had been delayed. I have a sneaky suspicion that it had everything to do with us, since I as already described we are 60% of the seats on the plane. We had to hustle from the gate to customs, and it appears they opened a special area for people from our flight. Then due to construction, we had to take a bus to our domestic gate. We arrived about 20 minutes before our 6:00 departure. Whew! 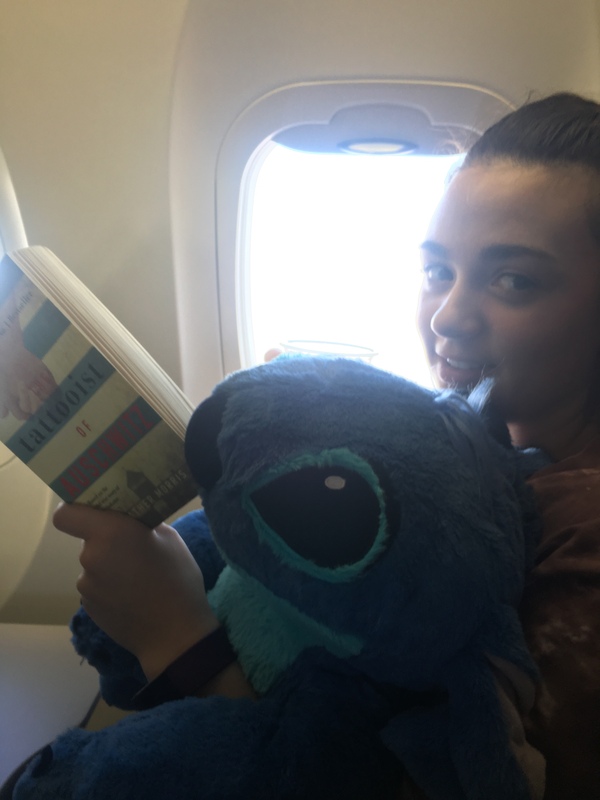 If anything, we did a lot of running for our flights on this trip…the kids won’t forget this too soon! Alright, so what’s the schedule for today Dave? Well, let me enlighten you shall I? Haha, I guess that was fairly clever for 630 wasn’t it? Clever, sarcastic…it really depends on your perspective right? Okay, I know, I know, get to the point. So we’re obviously in Caen, about 20km from Juno Beach, which is the objective for today. Did you see what I did there? Today’s “objective,” since we’re going to Juno Beach…I know you chuckled, or rolled your eyes. 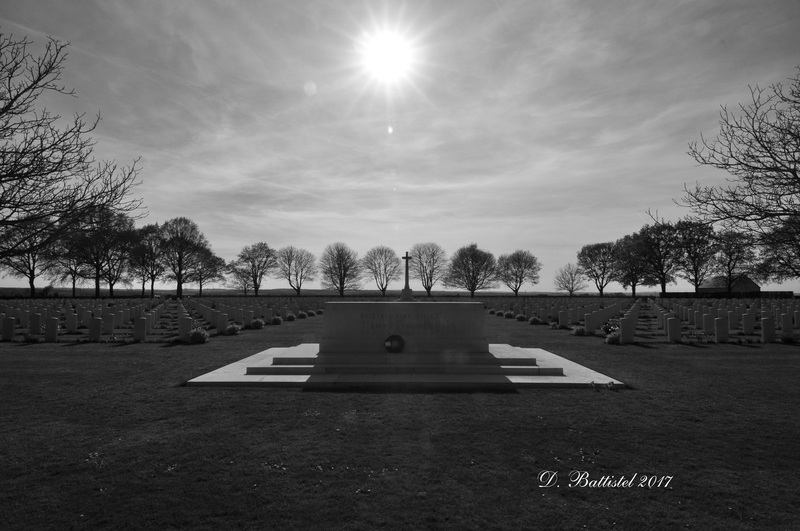 Anyway, we’ll be visiting the Beny-sur-Mer Cemetery, the Juno Beach Centre, Bernieres-sur-Mer and Saint Aubin-sur-Mer before leaving for Paris. One of the best things is that we’re supposed to see the sun. Yes! The forecast calls for +14C and mostly sunny, though very windy again. That should be interesting given the fact that we’re going to be on the English Channel, which is typically windy on a good day. I predict an interesting visit and some messy hair again…but not for me! Okay, so we’re on our way to Paris. 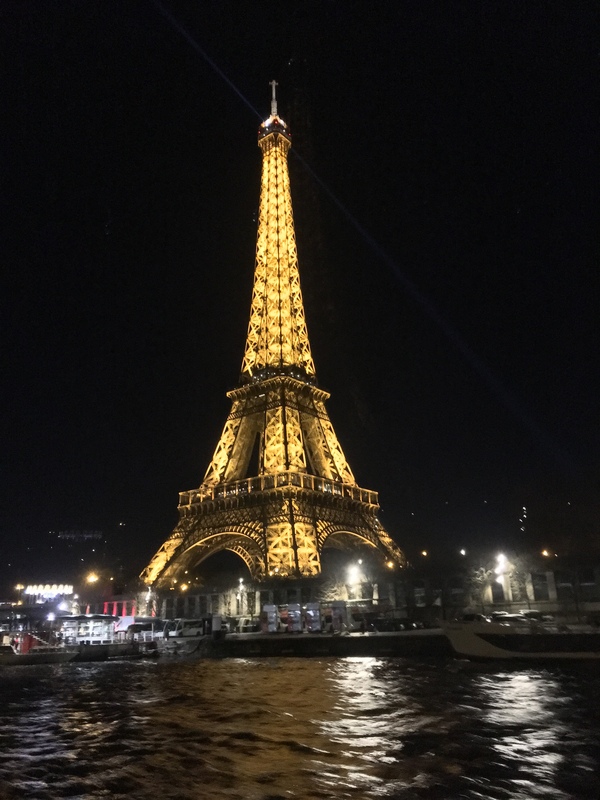 I know the kids are super excited to visit the city of lights. I myself much prefer the quaint, rolling countryside of Normandy. But that’s just me. It’s about 250km, so we have some time to relax on the bus. Yesterday the kids were a little messy, so the “Heinzelmänchen” or little dwarves of German folklore had to come out at night to tidy things up. 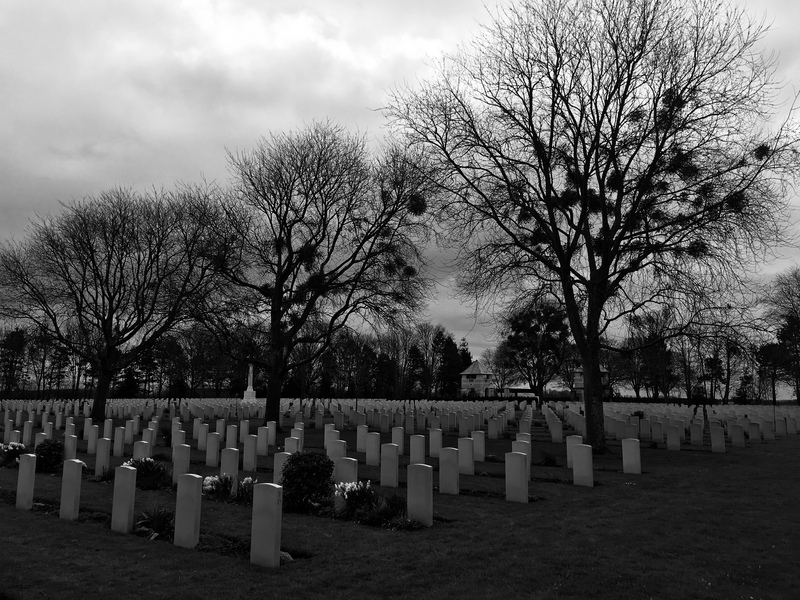 As I mentioned, our first stop was at the Beny-sur-Mer Canadian War Cemetery. 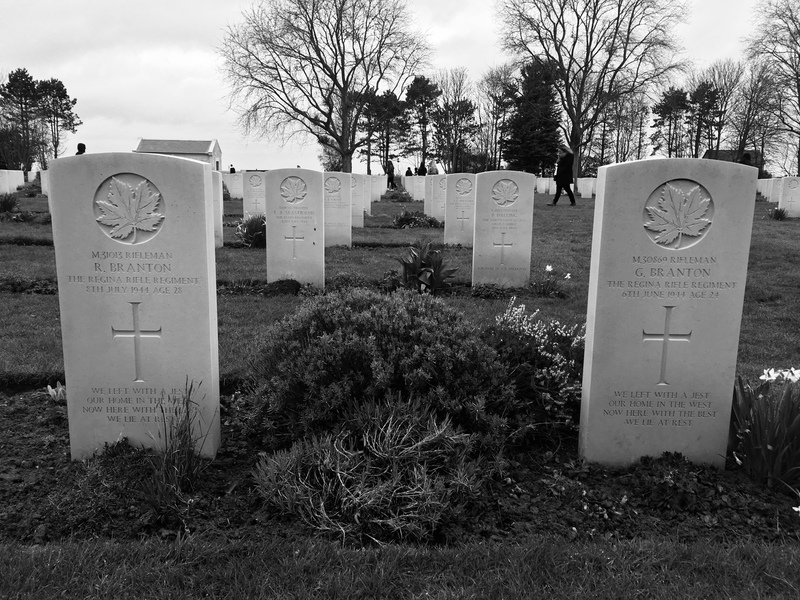 The cemetery contains the remains of over 2,000 Canadians killed on D-Day or in the weeks following. 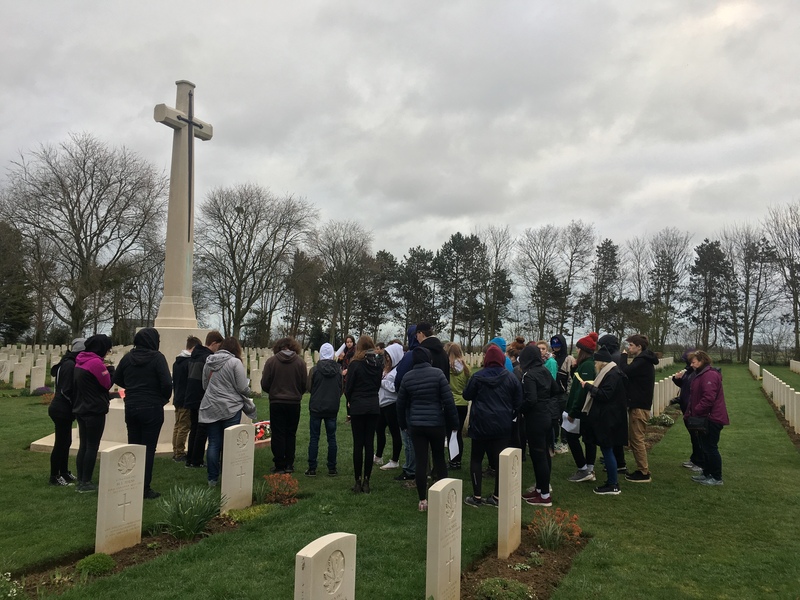 Unlike Groesbeek, we didn’t assign the students individual soldiers, but rather we gave them a list of graves they could visit. 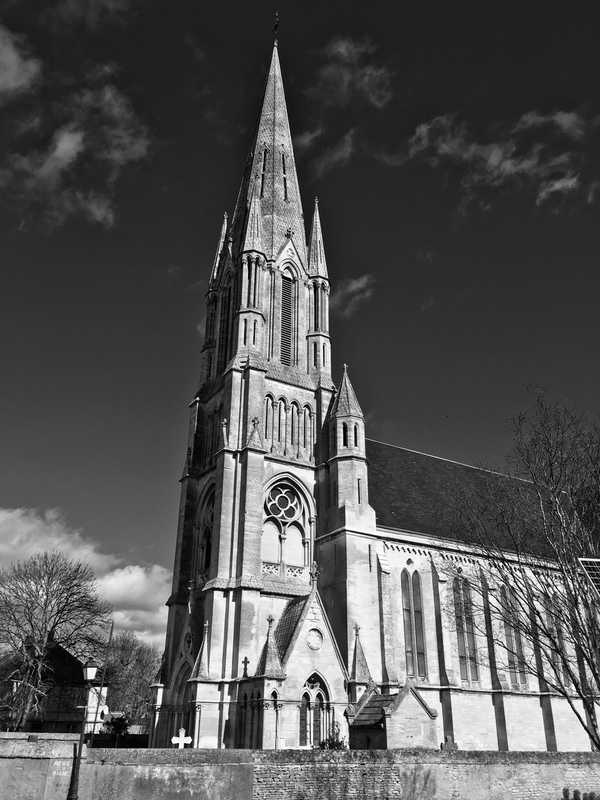 The cemetery has a very notoriety in that there are 9 sets of brothers buried there, such as the Westlake and Branton brothers. After a a brief prayer service, we spent about 40 minutes wandering amongst the graves. However many times I go, these cemeteries are still so sad. Today though, there was an air of serenity at Beny; the birds were chirping, it was windy but sun trying to come out. 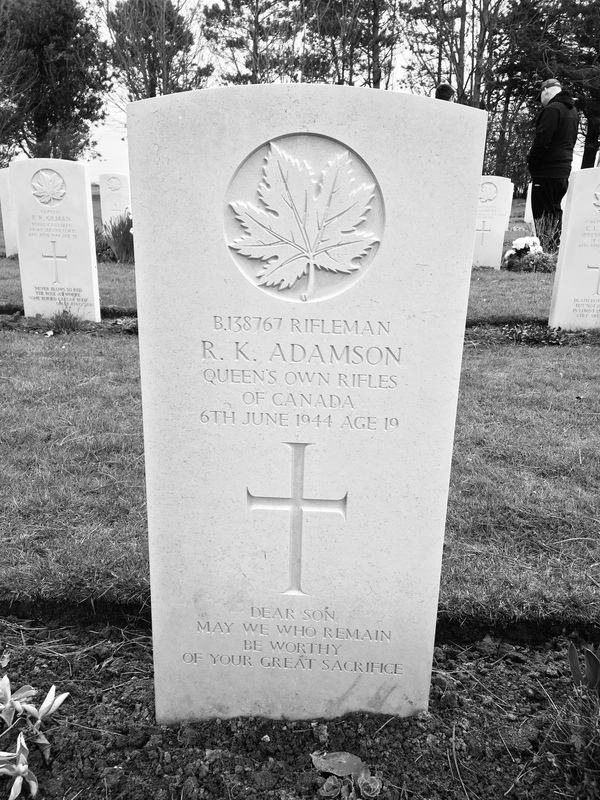 It like God was trying to thank us for honouring the sacrifice of these young Canadians all those years ago. 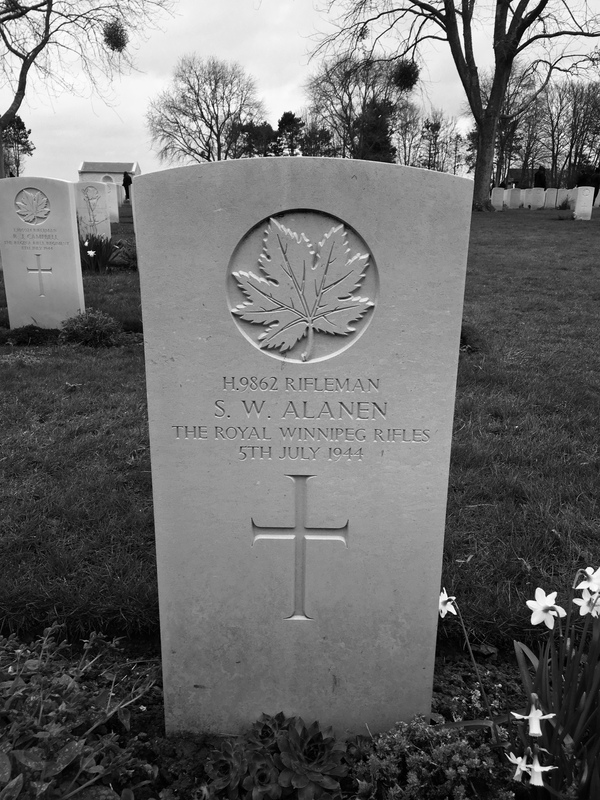 One of the graves I made a point of visiting, was that of Rifleman Sulo Alanen, a member of the Royal Winnipeg Rifles who was killed in action on July 5th, 1944. Alanen was born in Nolalu, and I know his nephew, which made it very personal. 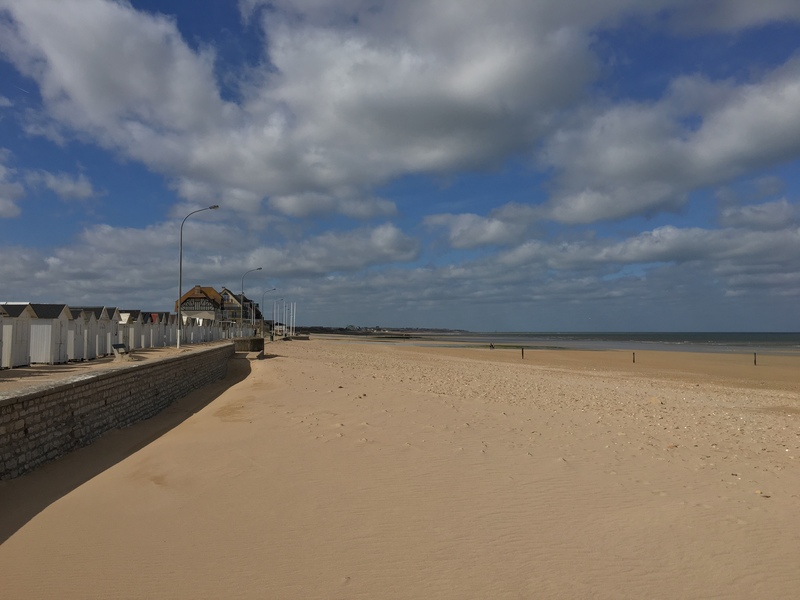 From there it was a short drive to the Juno Beach Centre at Courseulles-sur-Mer, where we had a 10:00 appointment. We actually received a full tour, which I did not experience in my three previous visits. 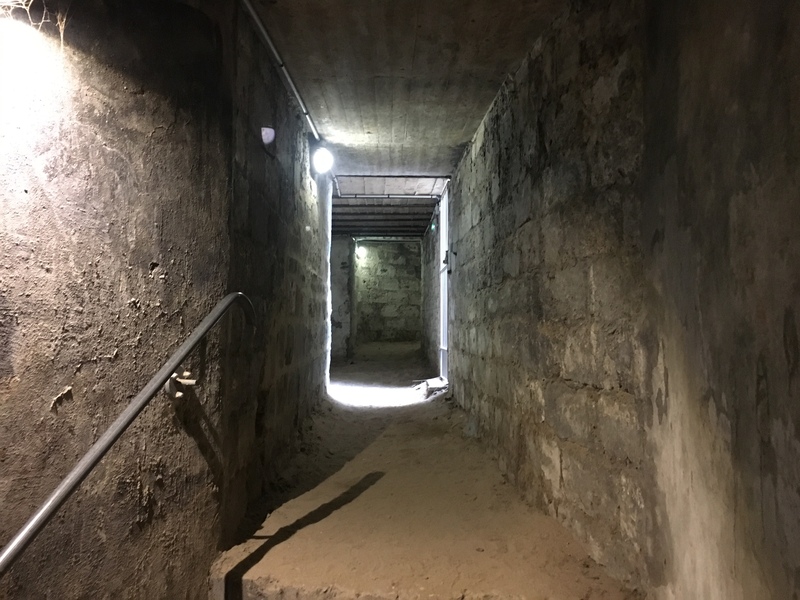 It began outside, where we were brought through two German bunkers, one a command bunker and the other a observation bunker. It was neat to see some new things and get the full explanation. Once that was done we moved inside for a visit to the museum. 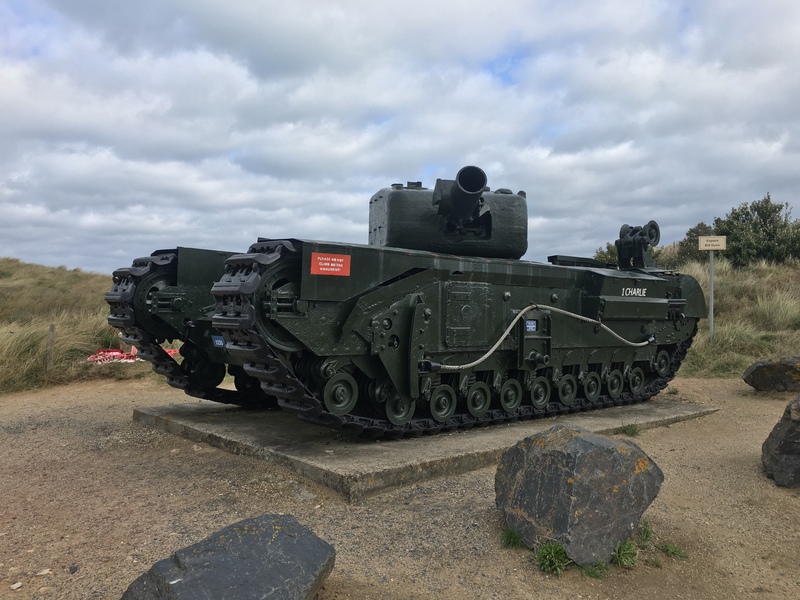 Having been there before, I raced outside and walked a short distance east, to Graye-sur-Mer where there was a tank memorial and another bunker, known as Cosy’s Bunker, captured by 10 Platoon, B Company, RWR. 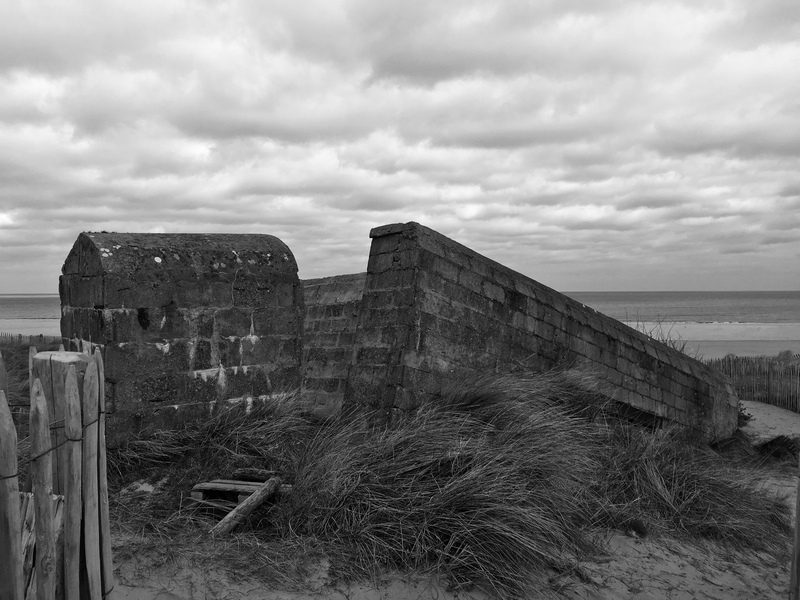 This area of Juno Beach is known as Mike Red Sector. Mike Red Sector, Bernières-sur-Mer, March 2019. 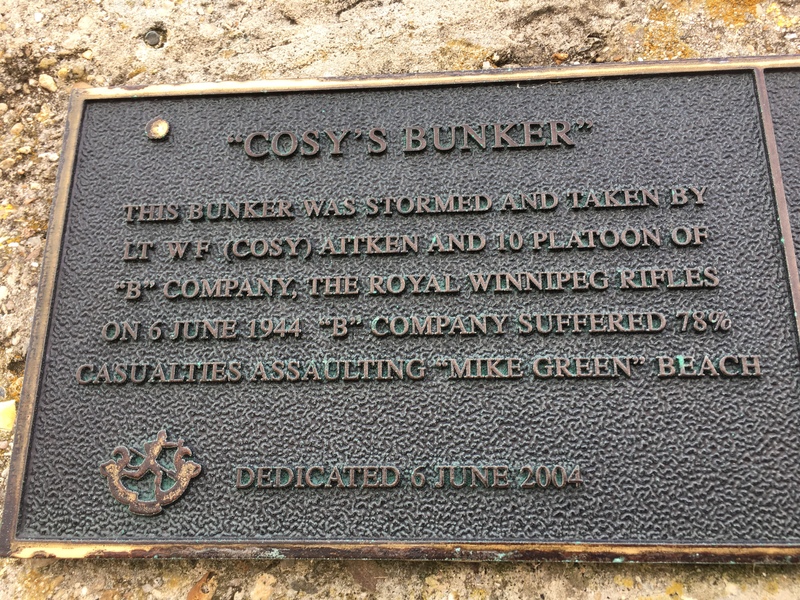 Cosy’s Bunker, Mike Red Sector, Bernières-sur-Mer, March 2019. 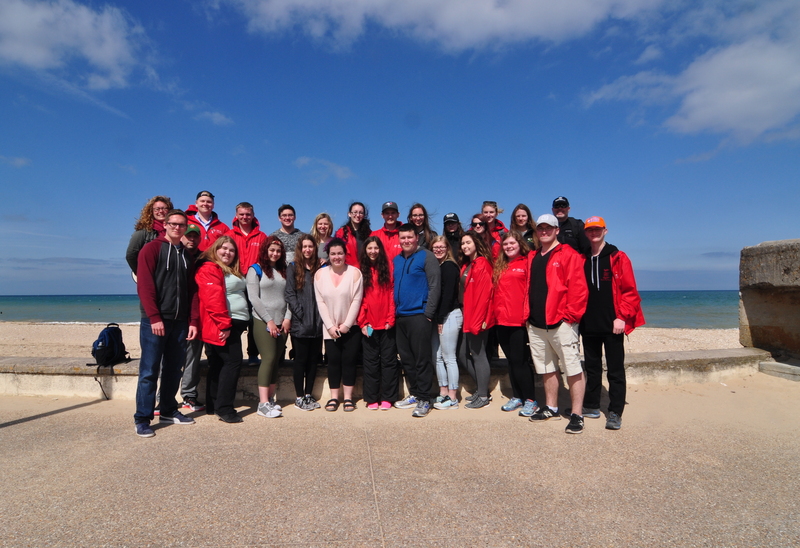 Juno Beach Centre, March 2019. Once everyone was through the museum, we had another short drive, this time to the east. Our destination was Bernières-sur-Mer, or Nan White Sector. Here the Queen’s Own Rifles landed, and took very heavy casualties in the process. Their efforts are commemorated at Canada House, the first place captured by Canadian troops that day. 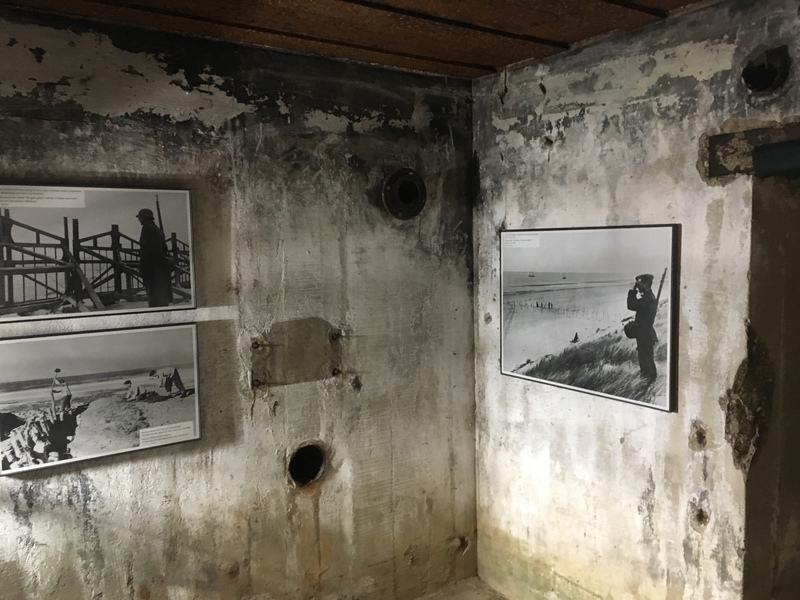 Just to the east is a preserved German bunker, which caused many of the QOR’s casualties. 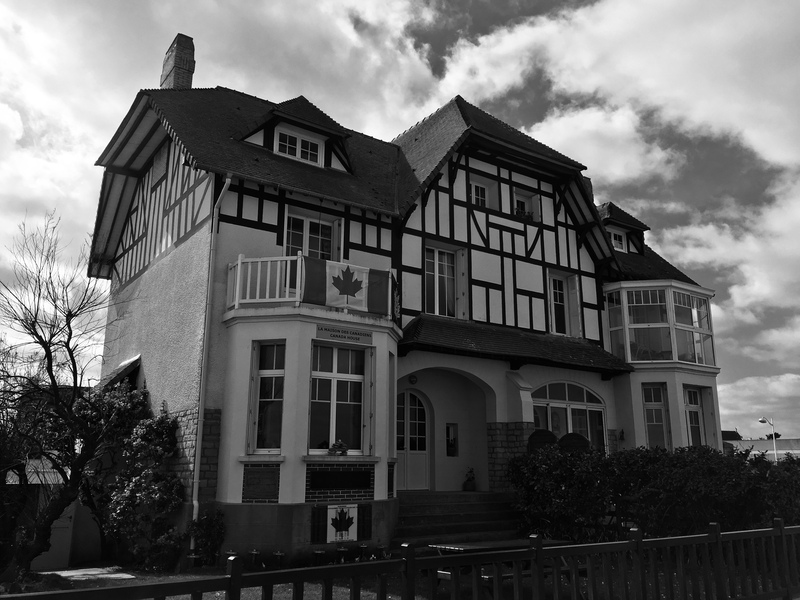 Canada House, Bernières-sur-Mer, March 2019. Nan White Sector, Bernières-sur-Mer, March 2019. Another short drive east brought us to Saint-Aubin-sur-Mer, the eastern most part of Juno known as Nan Red. 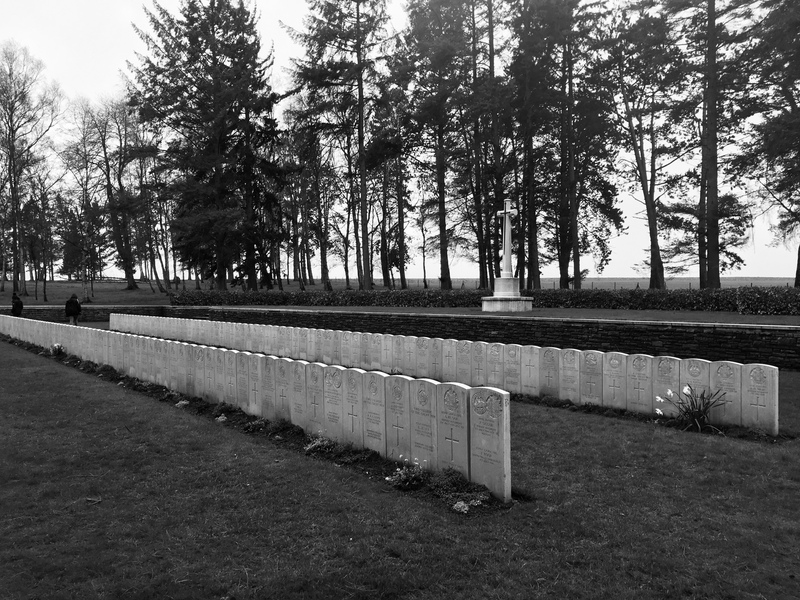 New Brunswick’s North Shore Regiment landed here, supported by tanks of the Fort Garry Horse. 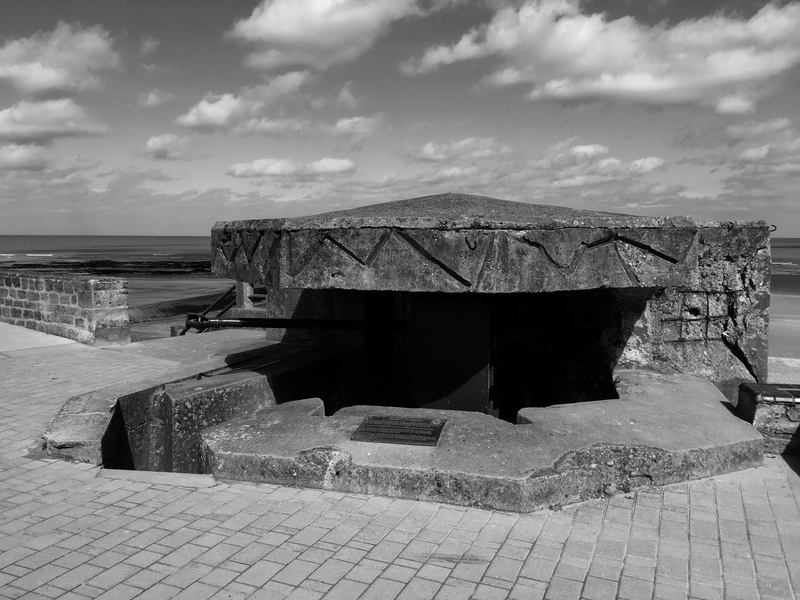 There is another German bunker at Saint-Aubin, complete with the 50mm gun that knocked out several tanks on D-Day before it was silenced. After a short visit to the beach, we paused a for a quick lunch. My croque monsieur was awesome! 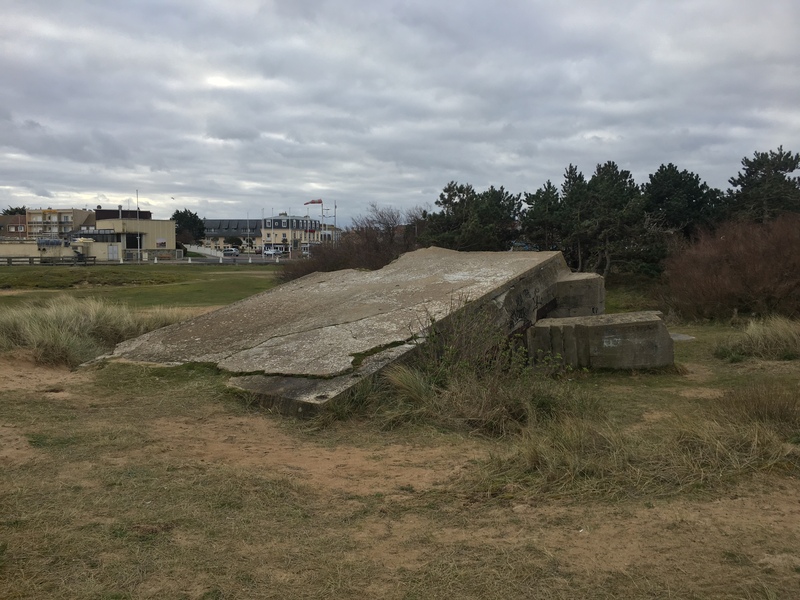 Nan Red Sector, Saint Aubin-sur-Mer, March 2019. One of the great things about today was the weather. Eventually the sun came out, the clouds disappeared and it was gorgeous. Obviously, it was a little cooler by the English Channel, but it was still +15C…a heat wave! 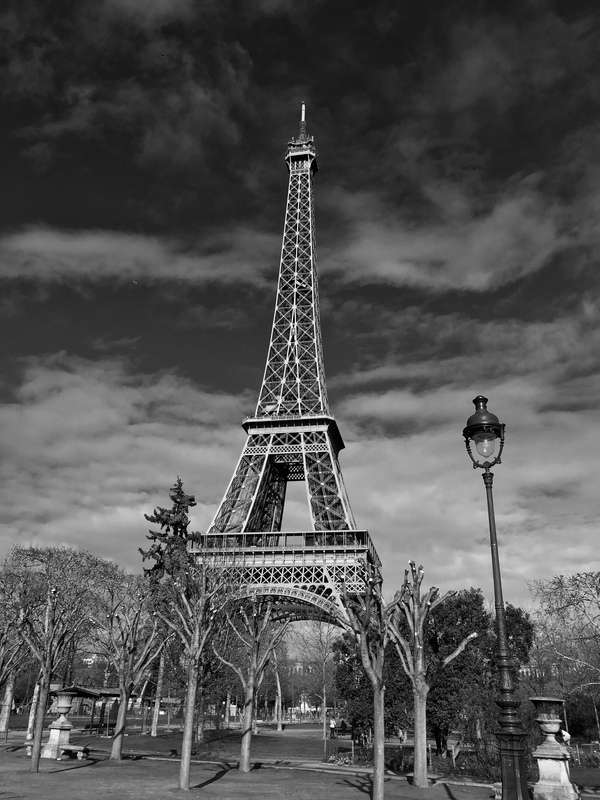 Now, on the road to Paris, it’s up to 18. With the sun and the balmy temperatures, you know what that meant. Well, I guess you wouldn’t know because I didn’t say anything about it, so I’m telling you now. Warm temps=shorts weather. So let me explain the background to this, as it is a going joke. All I normally wear on these trips are convertible plants; they are not the epitome of high fashion, but they are comfy and I love them. On past trips, when it gets warm, I’ve unzipped the bottoms and rocked the shorts. Therefore, with all the cold weather I have been waiting patiently for an opportunity to unzip and today I got it. Vive le shorts! 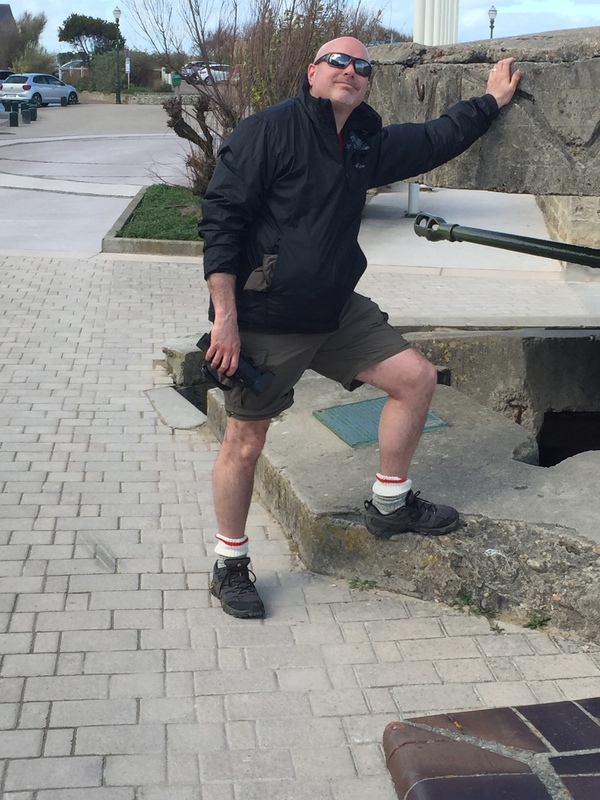 Enjoying the heat, Saint Aubin-sur-Mer, March 2019. Okay, so we’re finally back at the hotel just before 11:00. What a long day! 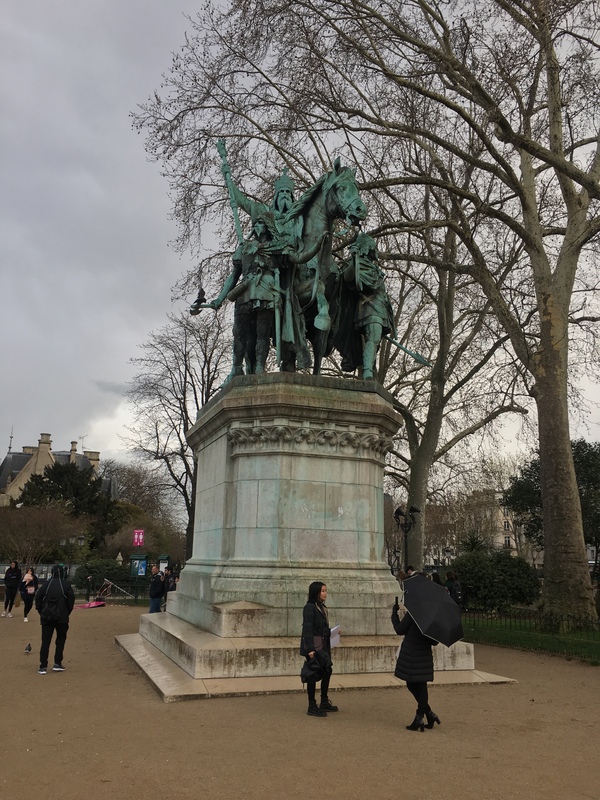 We arrived at our hotel at 5:00 and we had enough time to get to our rooms, freshen up quick and head to the RER (train) station at La Rueil-Malmaison. 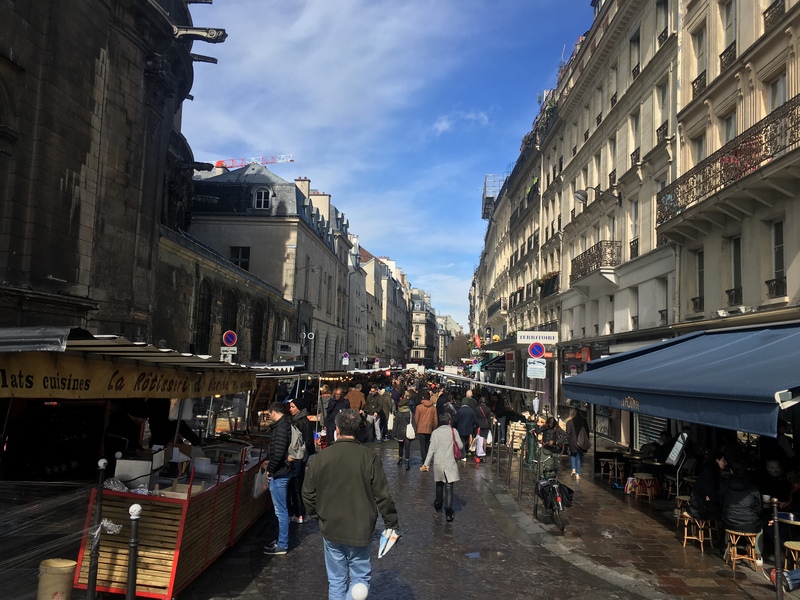 I always get a bit anxious riding the Paris public transportation, simply because it is so busy compared to other places. However, it is a good life lesson for the kids. Anyway, from the RER we transferred to the Metro to take us to our dinner destination. Our meal was at “Le Saulnier,” which consisted of a cheese pastry, beef bourgeon with potatoes and a puff pastry for dessert. 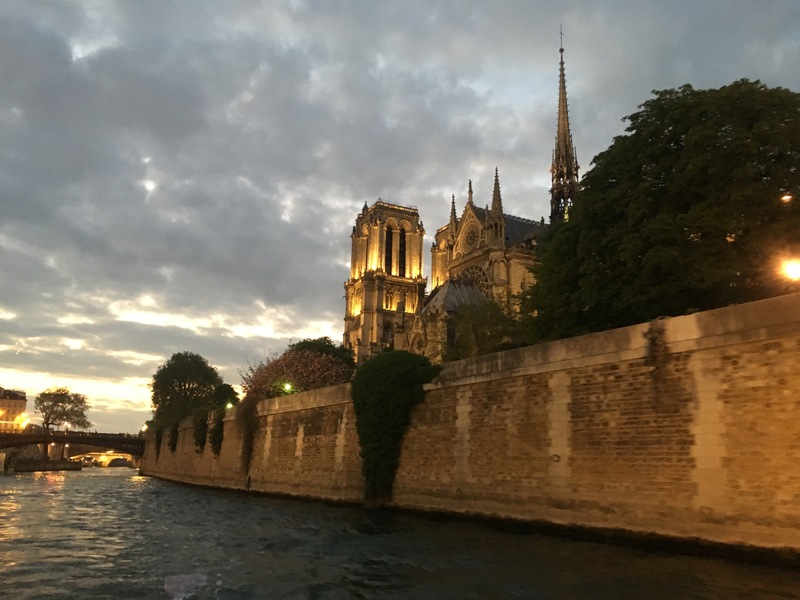 Afterwards, we were back on the Metro to go to Montmartre, and the Sacré-Cœur Basilica. The were a few hectic moments, as the Metro was packed with people, but we made it okay. 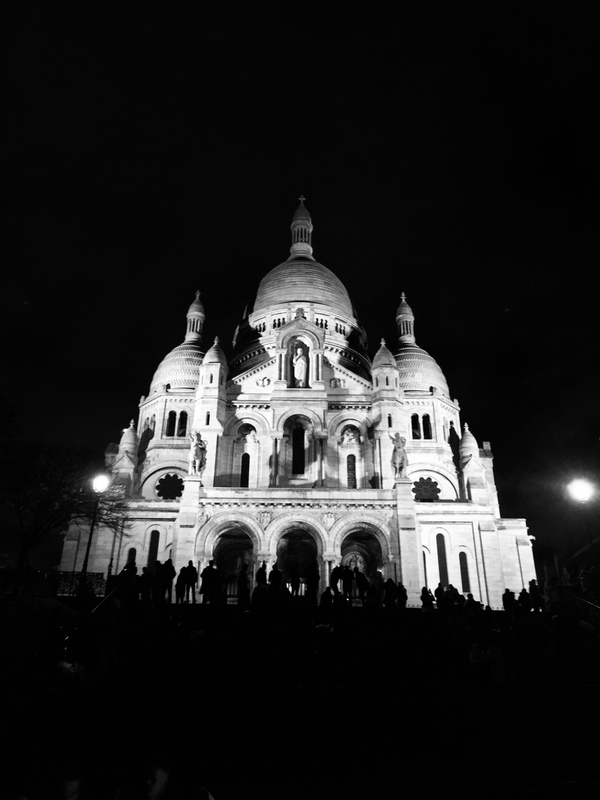 Montmartre is a hill in Paris, and the church is illuminated at night. It is quite the climb up the stairs to the top, which leaves your legs burning and rubbery when you’re done. 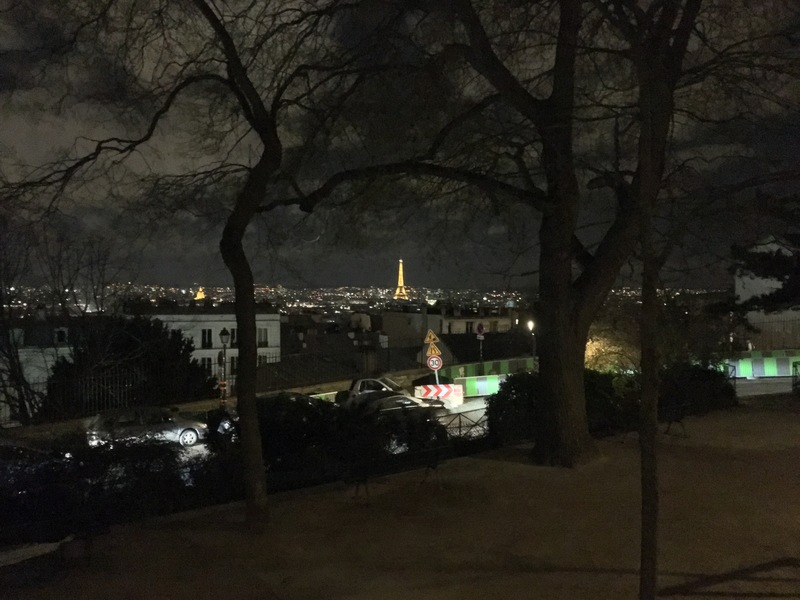 The view is spectacular from the hill, and the kids really enjoyed it. 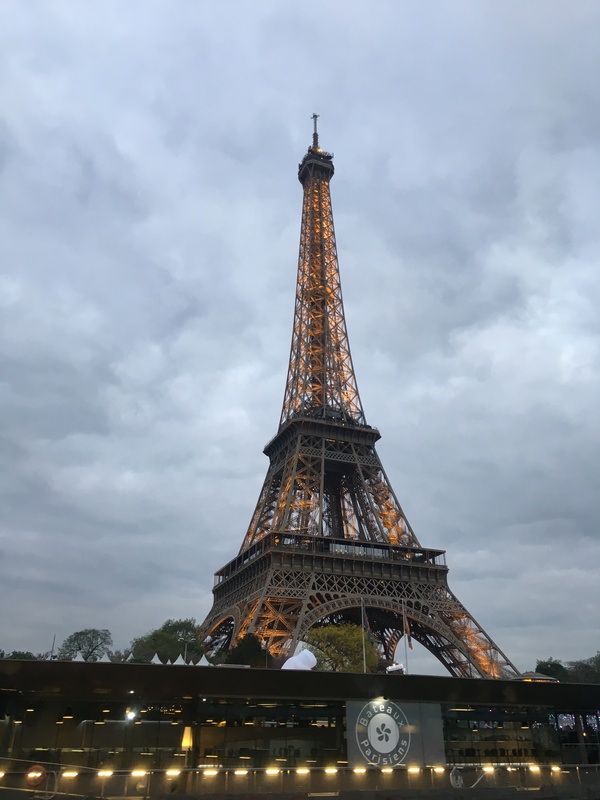 From there, it was back on the Metro and RER to the hotel. 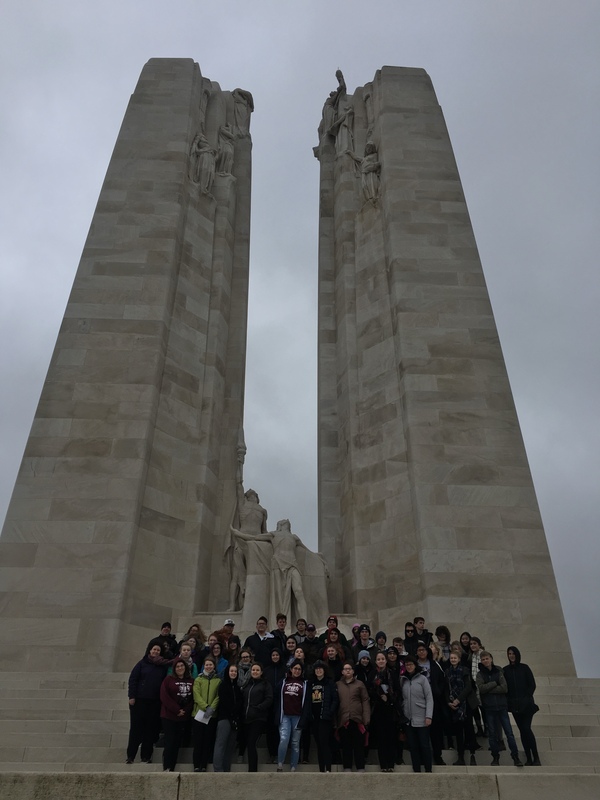 “🎶…Here I am, rock me like a Hurricane!” Alright, so we’re on the bus for the hour ride to Beaumont Hamel and the Newfoundland Memorial Park. If you’re wondering why I’m quoting the classic 1980s song by the Scorpions, I’ll tell you. It’s not raining today, which is fantastic, but it is a tad windy. Like how windy Dave? Well, bowl you over tornado force winds windy. People like me with aerodynamic hairdos don’t have to worry, but many of the girls are now rocking the messy hair look. But hey, it’s not pouring rain, so I will not complain. We had a great visit. The broke us up by school, with each group doing a separate tour. Our guide took us first into the subway system, tunnels dug by engineers through the soft chalk. 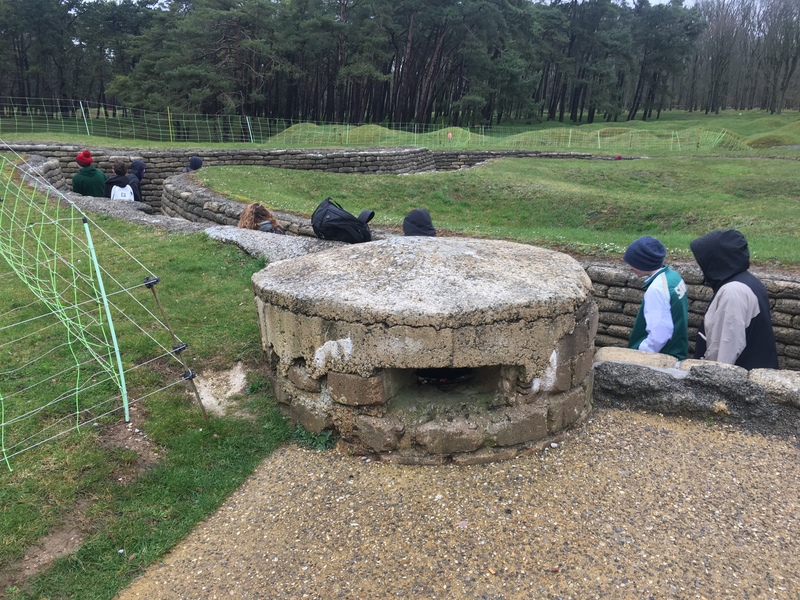 They were used to move troops and equipment to the forward trenches away from observation and fire from the Germans on the ridge. 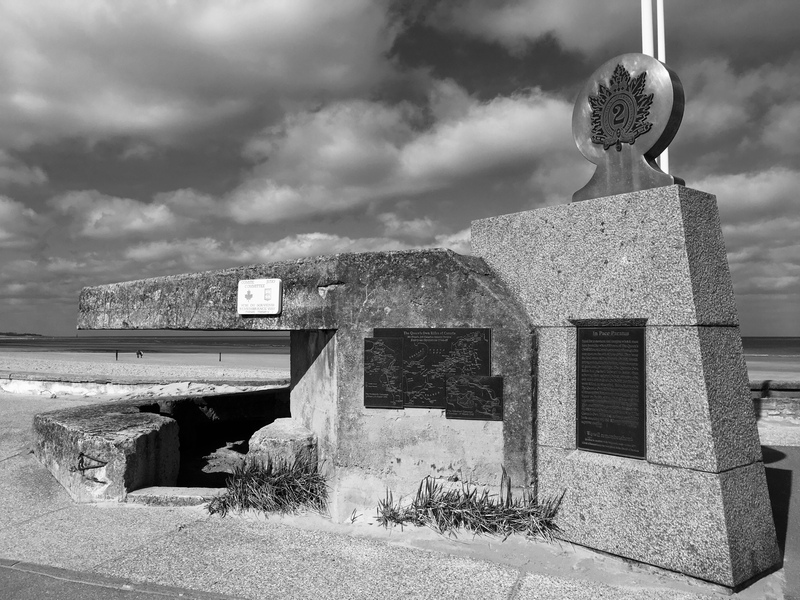 This one was known as the “Grange Subway” and is an amazing piece of Canadian history. Unfortunately, and I’m not sure why, maybe because of flooding, our tour of the subway wasn’t as long as it was in 2014. Regardless, it was neat for the kids to see. 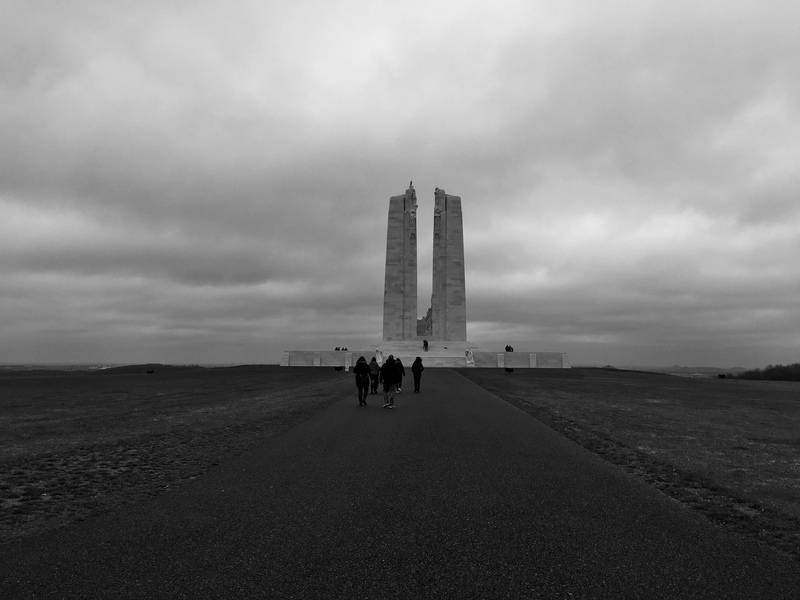 Vimy Canadian Memorial, March 2019. 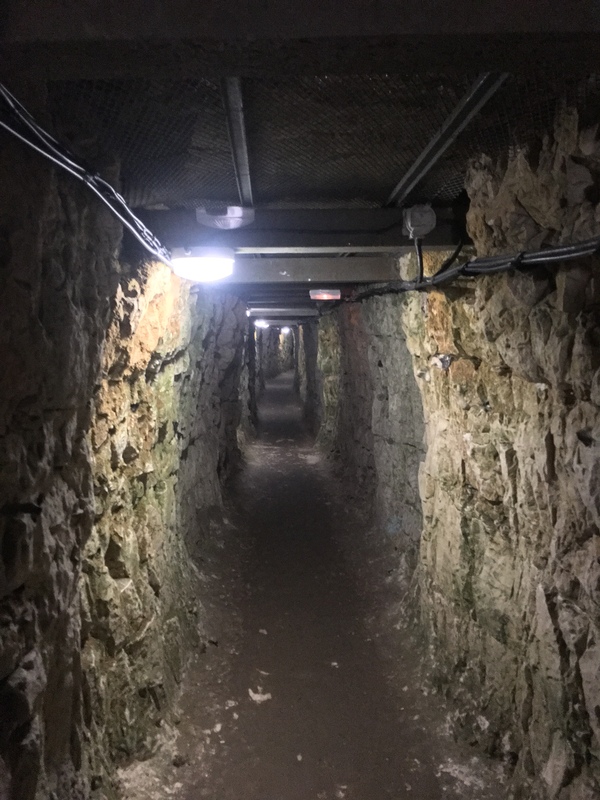 After exiting the subway, we made our way through the preserved Canadian and German trenches. When they were constructing the monument, they decided to keep portions of the front line trenches in the park. To retain their shape. 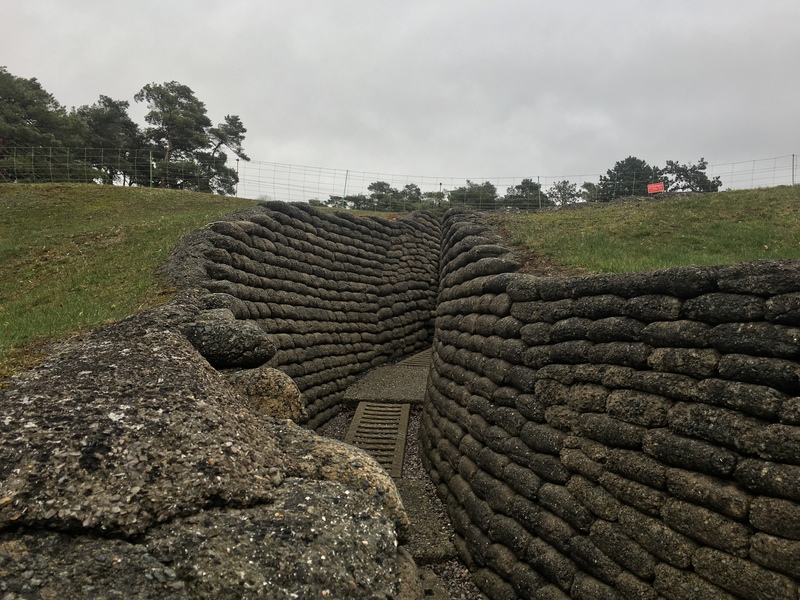 Sandbags filled with cement were stacked along the trench wall, which later deteriorated, but left the cement like stone pillows. 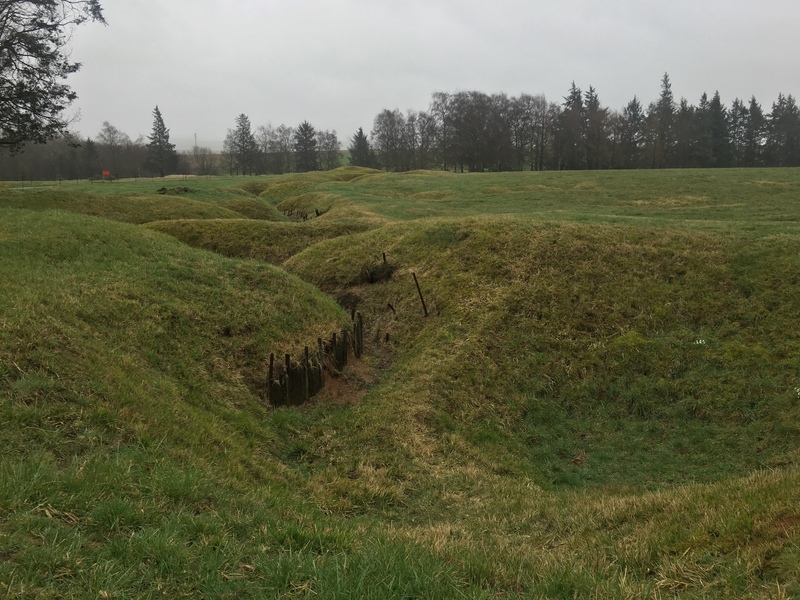 They are amazing in the sense that it gives the kids an idea of what it would have been like to live and fight in the these glorified ditches. From the trenches, we hopped on the bus for a short ride to the monument, located on the summit of Hill 145. From there, it becomes very apparent why the ridge was so important. Looking east, one can see the Douai Plain stretching out in front you, with the city of Lens and the immense slag heaps being prominent features. On bright, clear days, you can see the Belgian border. We had a brief prayer service on the back side of the memorial, before proceeding to the front for a group photo. Then the kids had some time to wander around, explore and take photos. This is where we were able to experience the full-force of the “light breeze” that was blowing. It was crazy how windy it was on the top of the hill, but it certainly didn’t dampen our spirits. 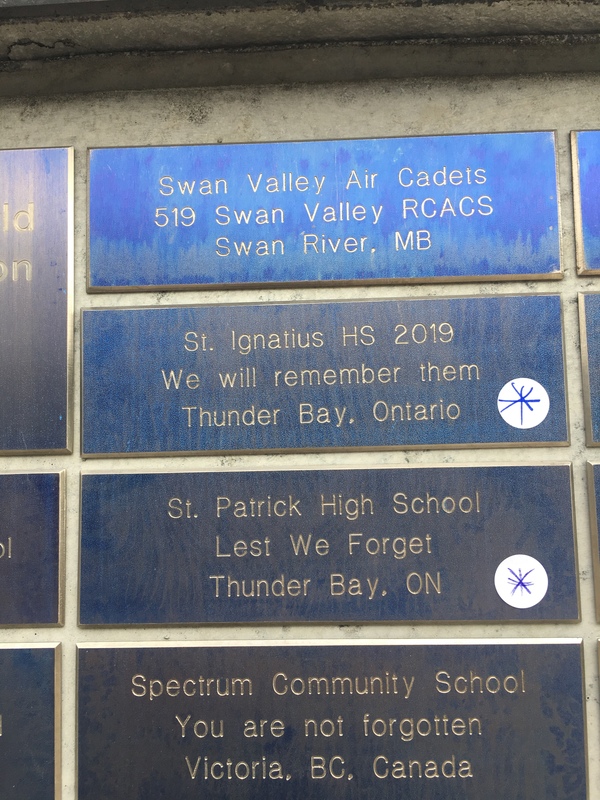 I think it was important for them to see it, and I think that every Canadian should visit this hallowed ground if they can. 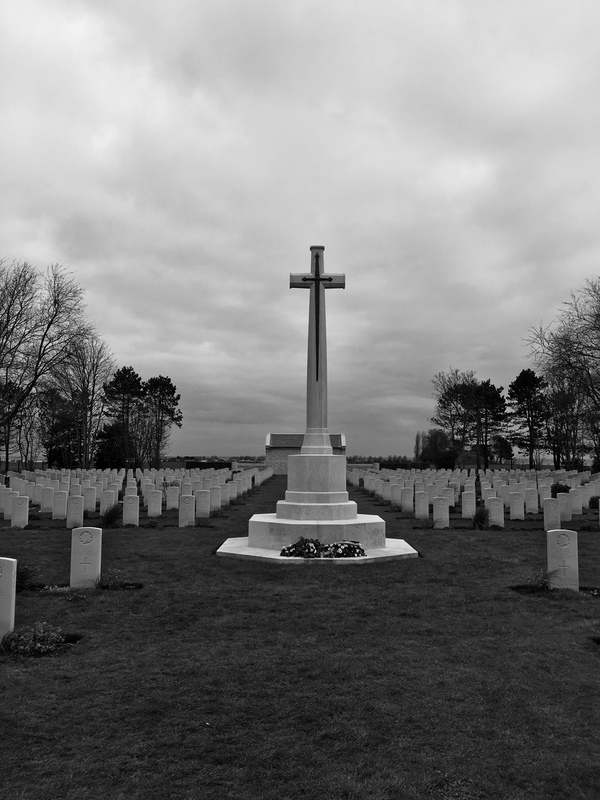 The sacrifice of these and other soldiers will not be forgotten if we keep the history alive. 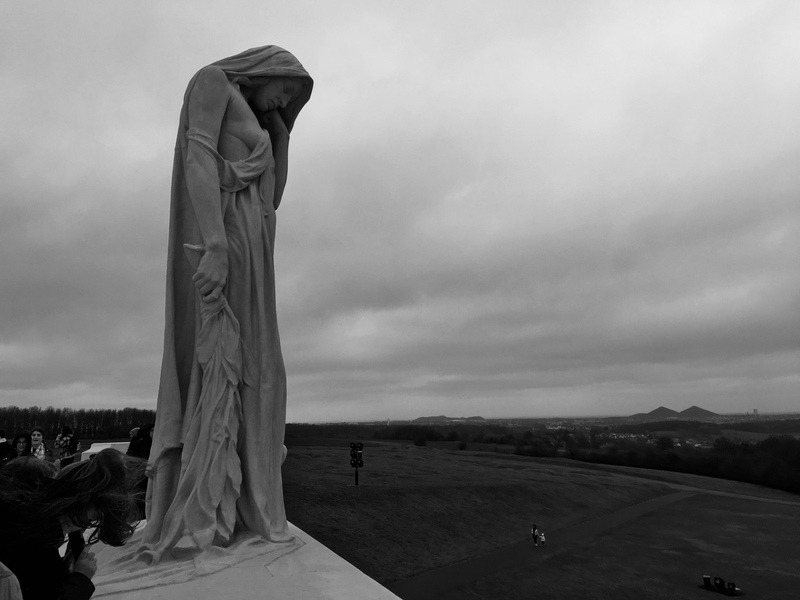 Mother Canada weeping for her fallen sons, Vimy Canadian Memorial, March 2019. Back on the bus again after another stop. Whew, we made it! Pardon the language, but holy crap it windy! I just checked the weather and it says the wind is out of the west at 54km/h gusting to 74km/h. I’m not a sailor, but isn’t that like gale force wind? I have no idea how Tish is keeping the bus on the road. 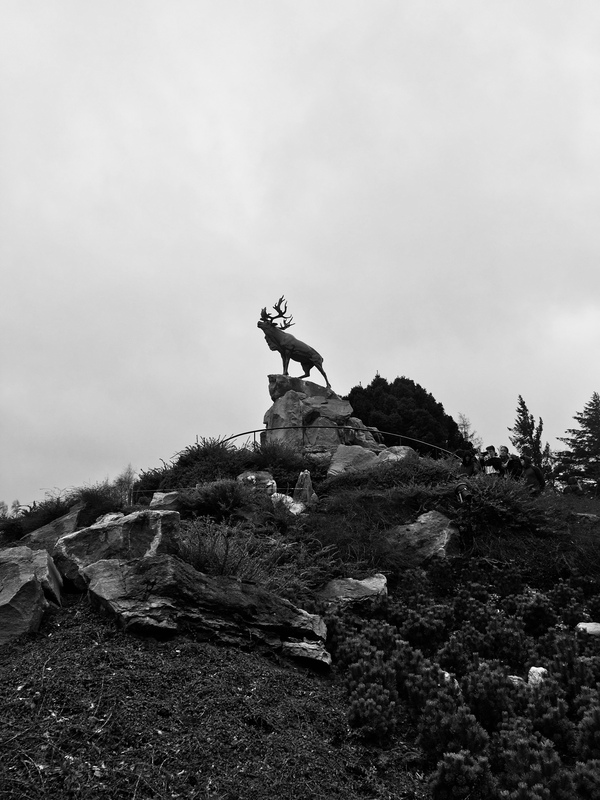 Anyway, we were just at Beaumont Hamel Memorial Park. 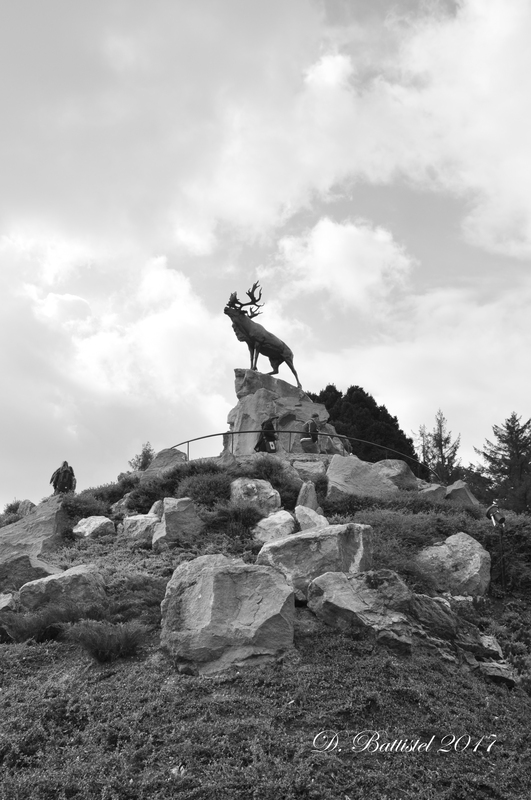 This commemorates the action of the Newfoundland Regiment on the first day of the Battle of the Somme, July 1st, 1916. Unfortunately, the entire regiment was wiped out in the course of the 20 minute attack. Of the 600+ men who started the assault, only 60 men were left unscathed. 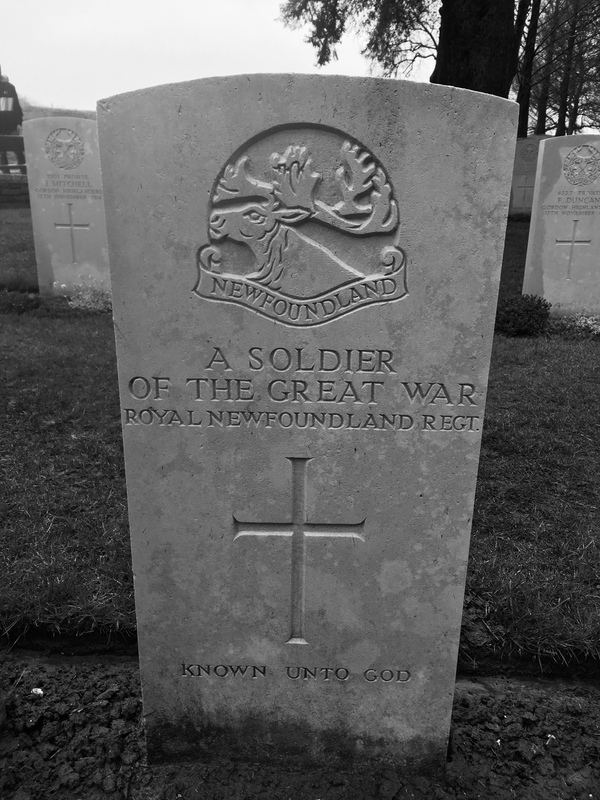 It was an unprecedented tragedy for Newfoundland, and after the war it was decided that it would be turned into a memorial park, complete with trenches, monuments and cemeteries. 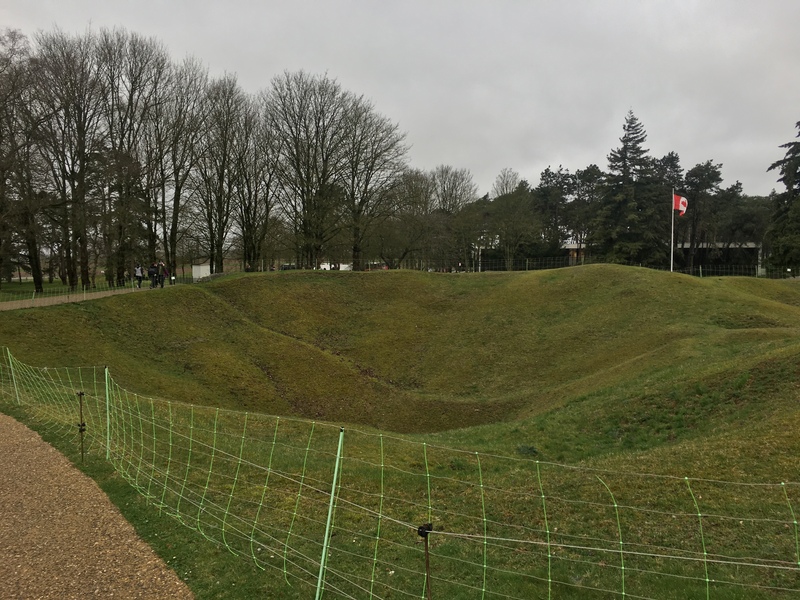 Beaumont Hamel Memorial, March 2019. Alright, we’re on the bus to our hotel for the evening. 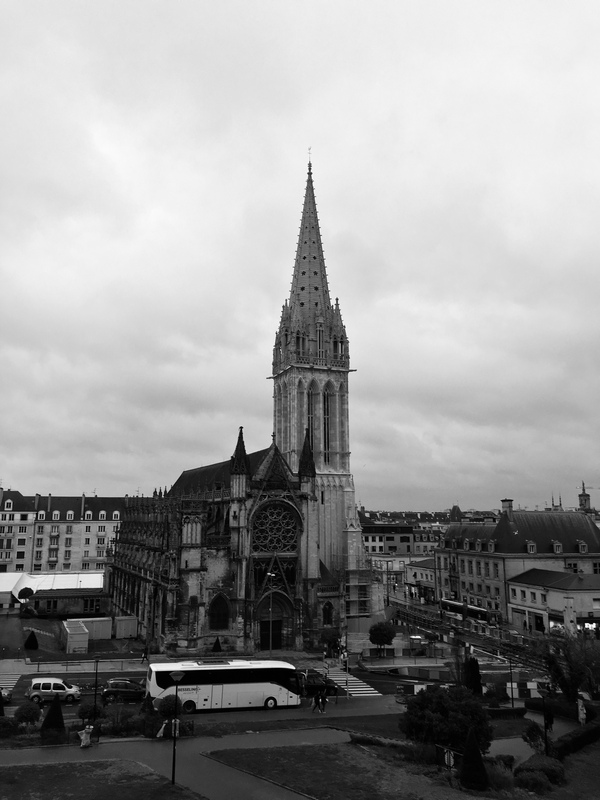 After a 300+km journey, we’re now in Normandy, in the city of Caen. 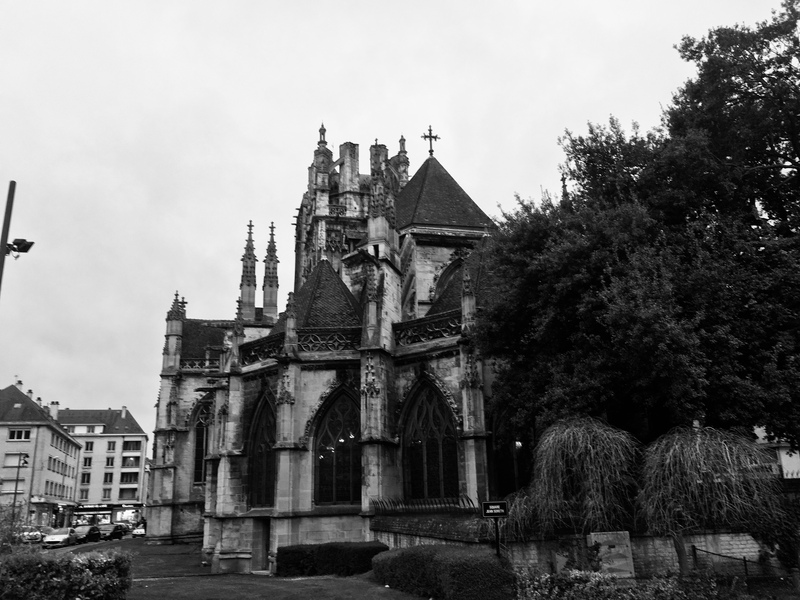 We had a chance to walk around the city a bit before dinner; I especially liked the Norman castle, which apparently belonged to William the Conqueror. Dinner today was at Le Cafe, where we had ham with some type of sauce, and potatoes. Dessert was a chocolate brownie with whip cream. There was some disagreement amongst the chaperones as to the rating of the meal; I thought it was good. Day 9 Mes Amies. The engine turned over this morning but she’s running a little rough. I slept well, though I woke up at 0500 and couldn’t fall back asleep. I could certainly use more time in bed, but c’est la vie. Today is going to be a very busy day and I am going to need every ounce of energy I can scrape up. Hopefully breakfast is good; based on this hotel, I have my fingers crossed. So today’s adventure is going to take us first to Versailles, which is southwest of Paris. 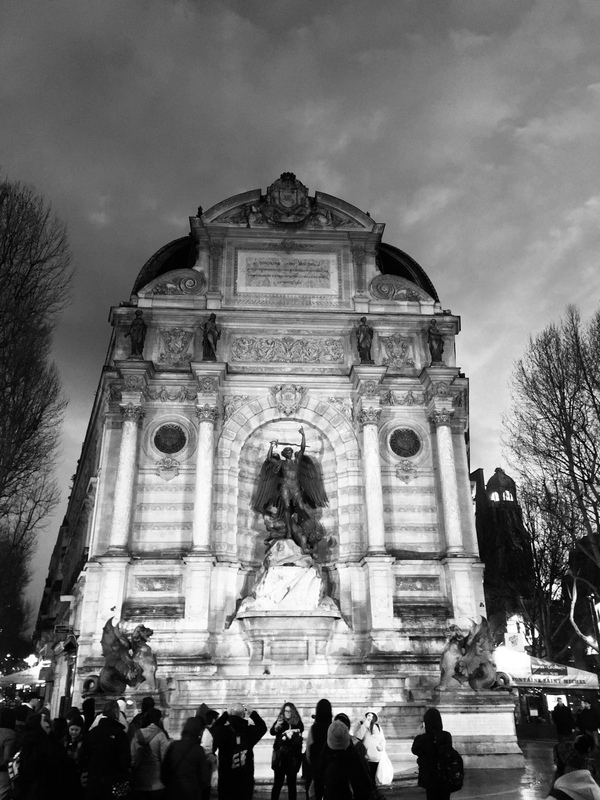 A bus will take us into the city, and from there we will take the train, the RER, to Versailles. I’ve never been there before, so I am quite excited to see it. 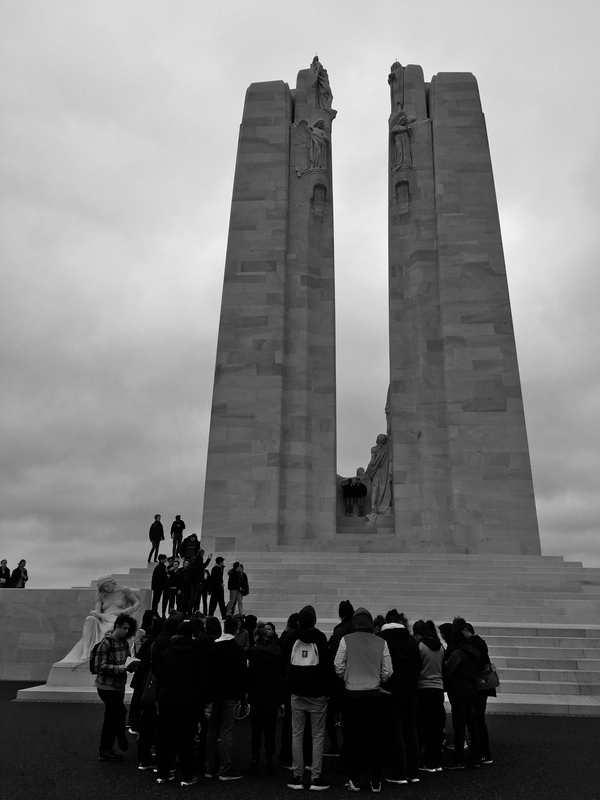 I have taught about it a lot both in Grade 10 history (Treaty or Versailles) and in Grade 12 history (Louis XIV). That visit should chew up most of our day. We’re off on the first adventure of the day as we are on the RER train to Versailles. It was quite interesting purchasing the tickets and then trying to get on the train as it moved down the platform. I think it was very eye-opening for a lot of the kids who have never done it before. However I guess there’s a first time for everything and I’m sure it won’t be the last for a lot of them. It’s a nice little introduction to our later rides on the Metro. Now we’re in the queue to get into the Palace of Versailles. We’ve been waiting here for just over an hour and we’re almost at the gate. The lines here are enormous; fortunately the clouds have rolled in a bit and it’s not as hot and scorching as it was a little while ago. 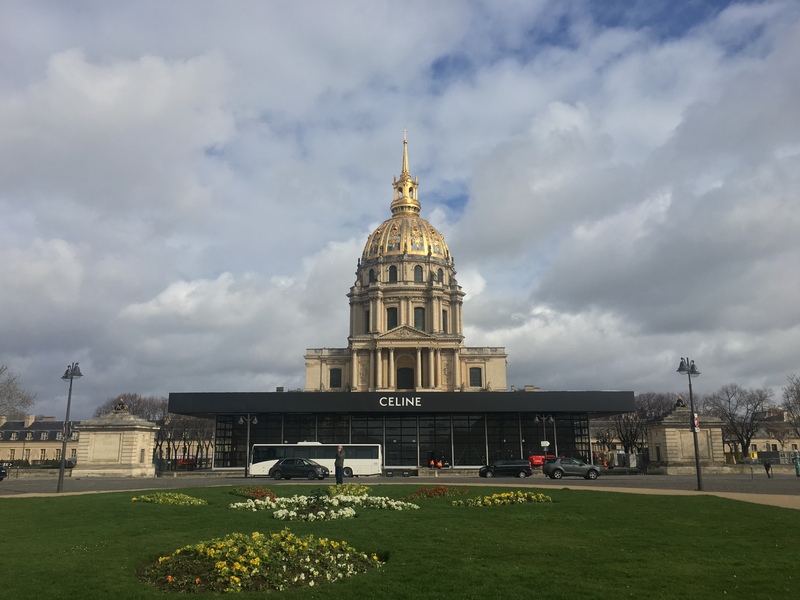 We should have approximately 2 1/2 hours to look through Versaillies and some of the grounds before we have to head back on the train to Les Invalides. It’s kind a neat the people that you meet while waiting in line. 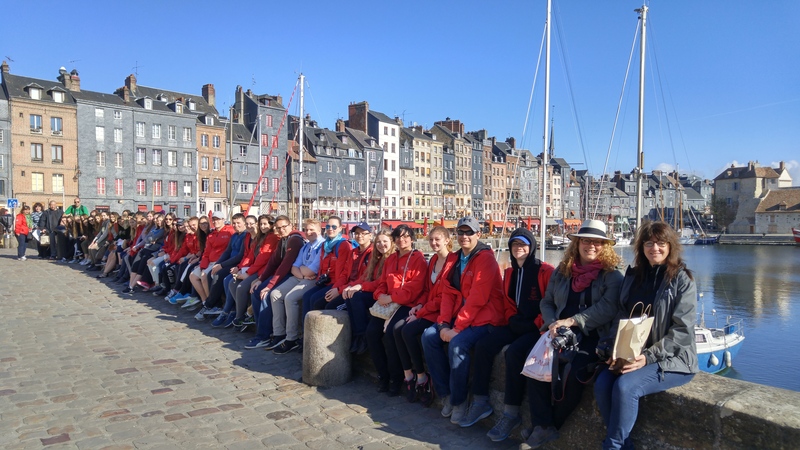 We had a lengthy conversation with a French couple who were curious to know why Canadians were here in France. Breaching the language barrier is always an interesting and fun part of the conversation. 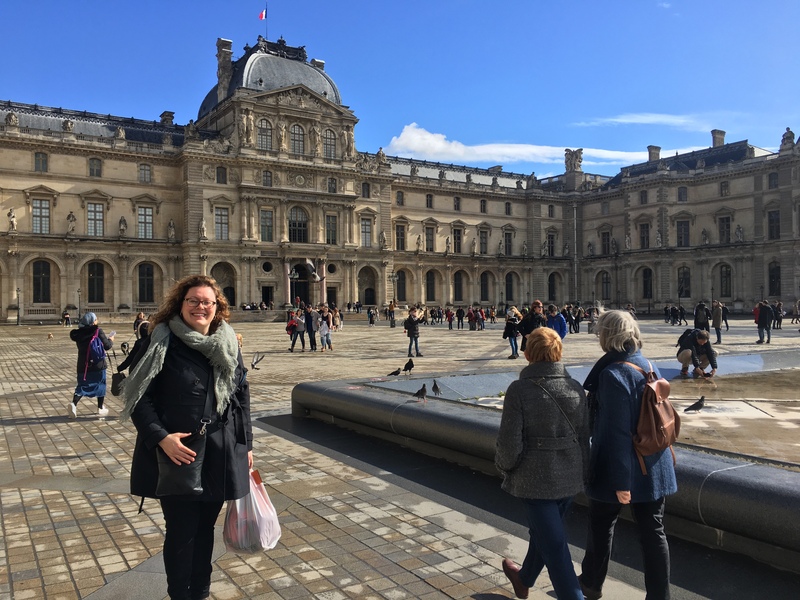 Palace of Versailles, April 2017. It’s 2130 and we’re on the bus heading back to our hotel outside of Paris. What a long but fruitful day. Myself and everyone else I’m sure is pretty tired. 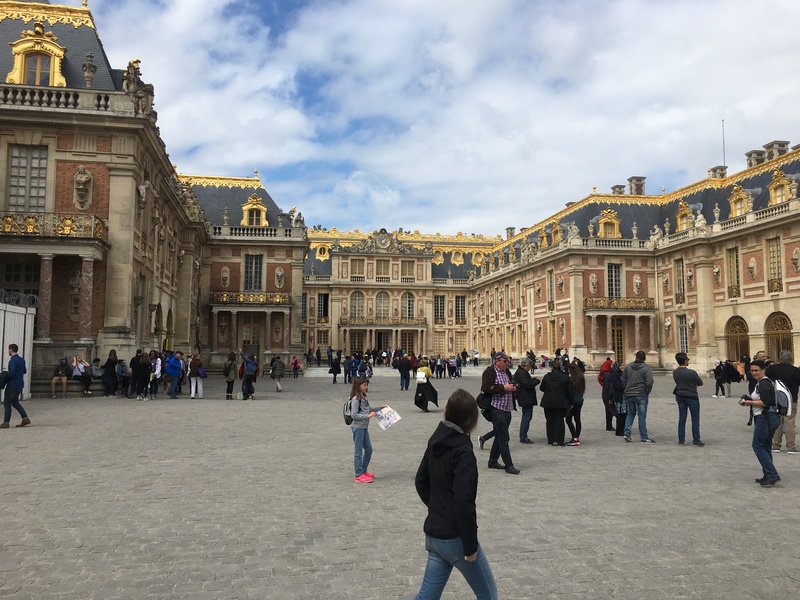 Versailles was amazing! 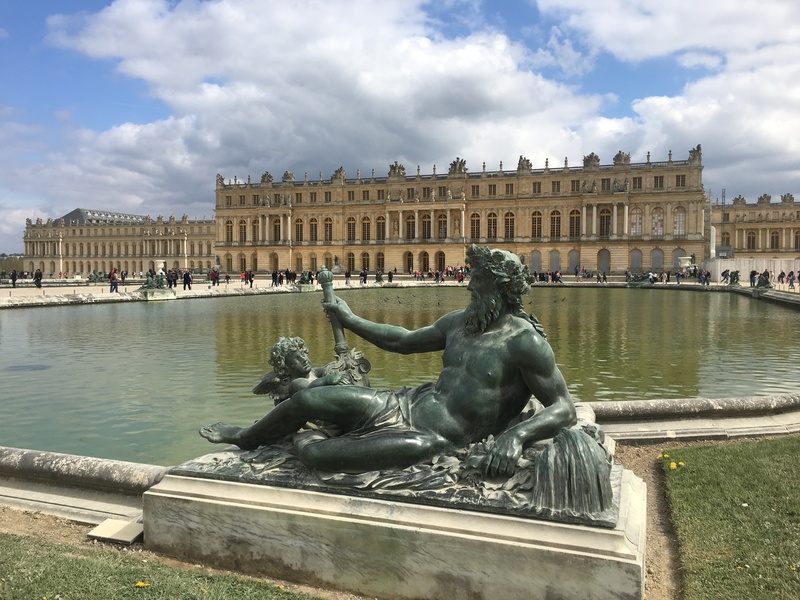 I’ve seen many programs on Versailles and taught about it for many years but it’s something else to see it in person. The size of the structure and the grounds are simply amazing. The opulence of the inside is indescribable. One can understand why the masses revolted against excesses of the French royalty. The only negative from the visit was the number of people at the site. 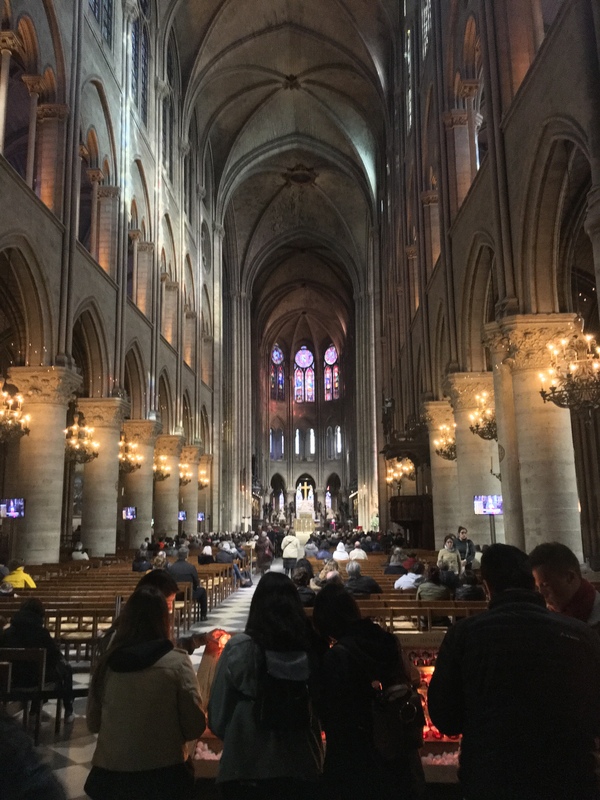 It took us more than an hour to get in and I felt like cattle being herded through the various buildings and attractions. I would definitely go back, but I’d try to go on a day with less people or maybe earlier in the morning. 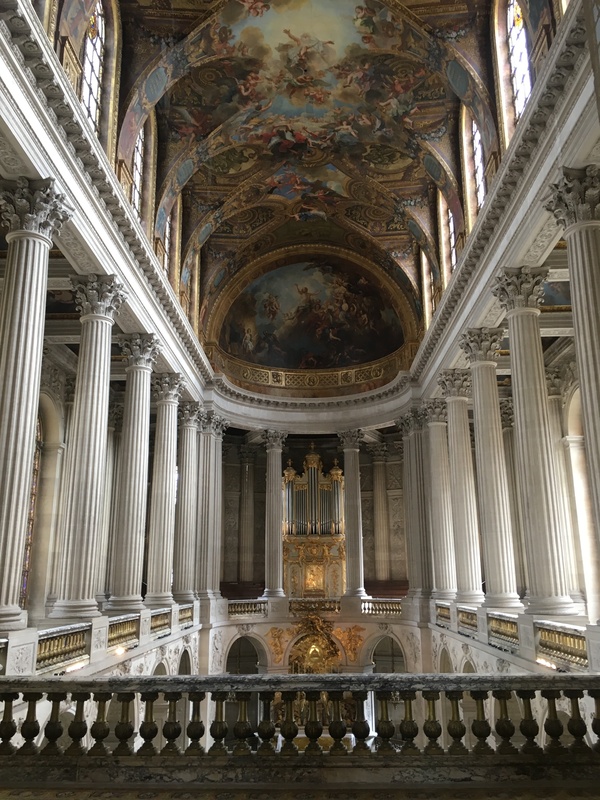 Royal Chapel, Versailles, April 2017. 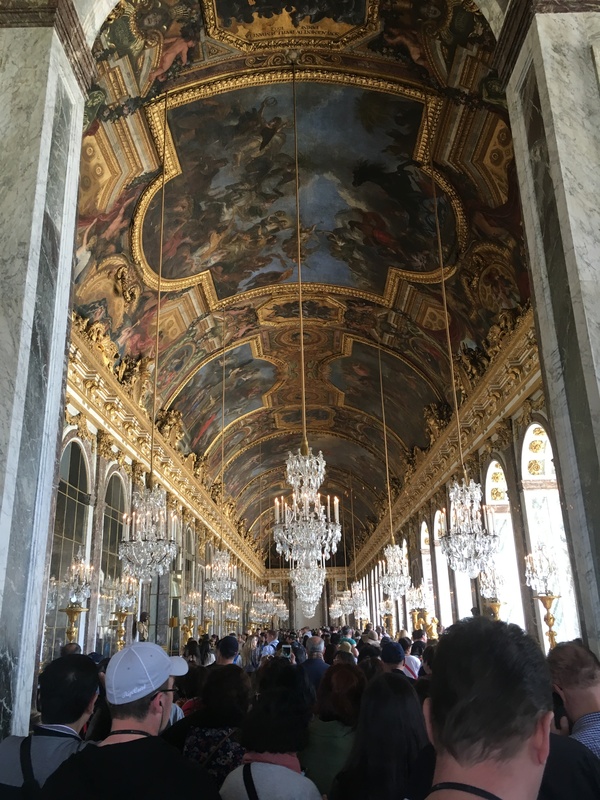 Hall of Mirrors, Versailles, April 2017. 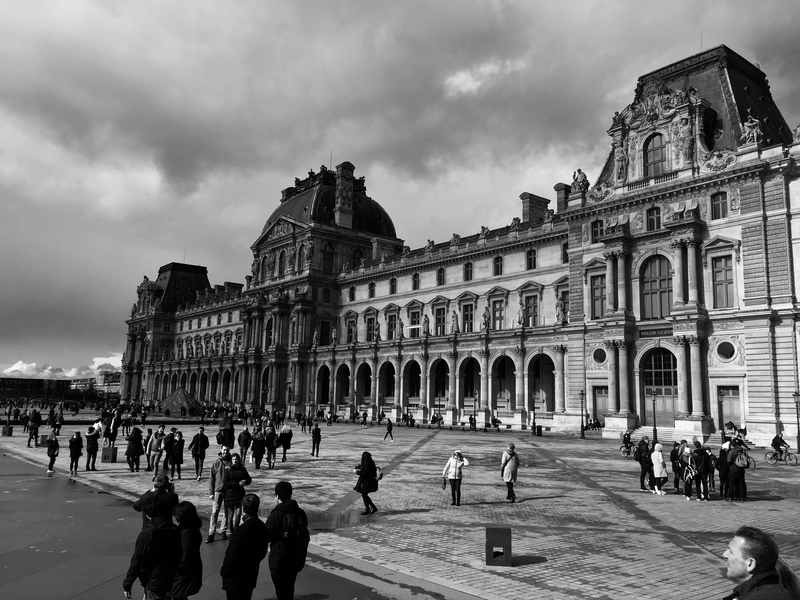 After we finished at Versailles, we had to jump back on the train and meet Jason at Les Invalides Station. From there we hopped on the Metro to our dinner location. This is something that many of the chaperones as well as the students were concerned about. It can be tricky to move such a large group of people on and off the subway cars. Dinner was at Le Beouf gros sel and consisted of penne with chicken, which I demolished since I didn’t have any lunch. 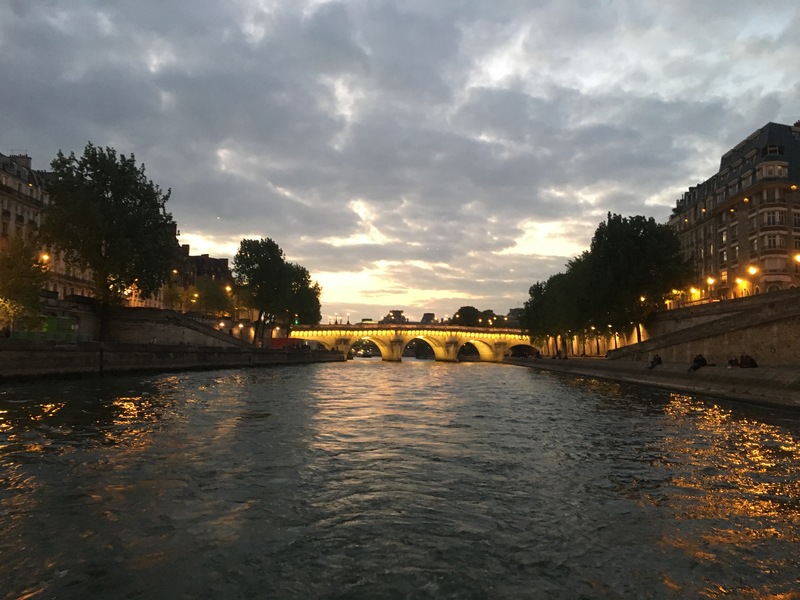 After eating, it was back on the Metro, with a transfer in between, to our next destination which was the Pont Neuf Bridge. 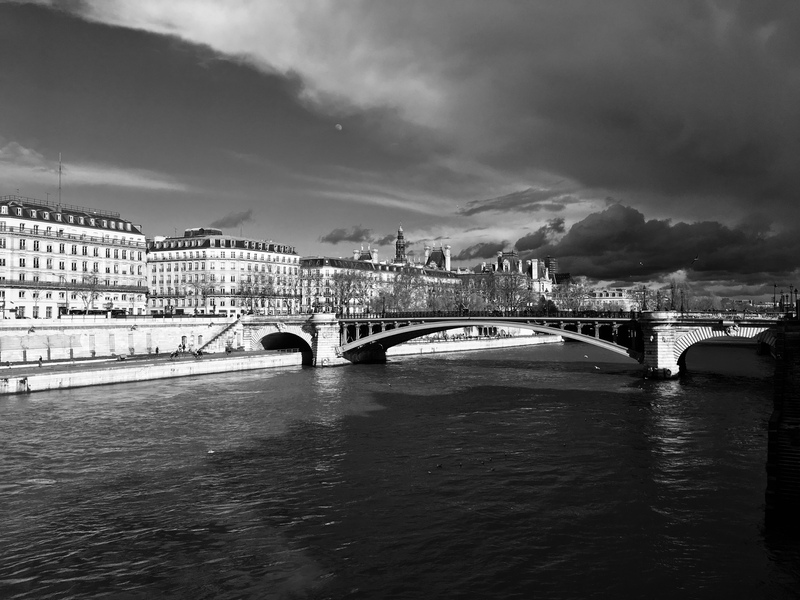 There we would be taking a cruise along the Seine River at dusk to see the sites of Paris. It was 12€ well spent, as the kids really enjoyed this tour. Even though I had done it before, I found it interesting all over again. The only thing that didn’t go right was a few St. Ignatius girls getting drenched by a wave thrown up by a passing boat. They were able to laugh it off and so did we. 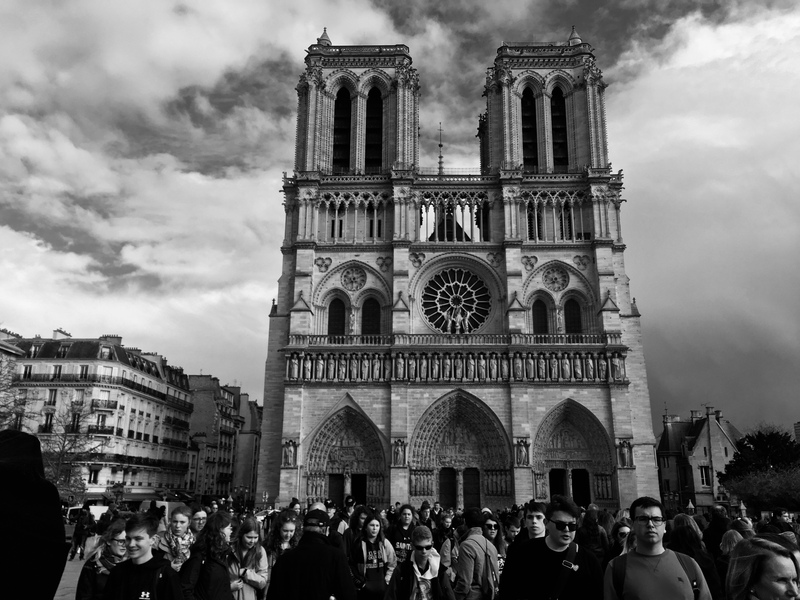 Notre Dame Cathedral, April 2017. Today was another day of firsts; first train ride for many, first Metro ride for many and first time the chaperones took the group out without the tour director. I’d say it was a pretty successful day. 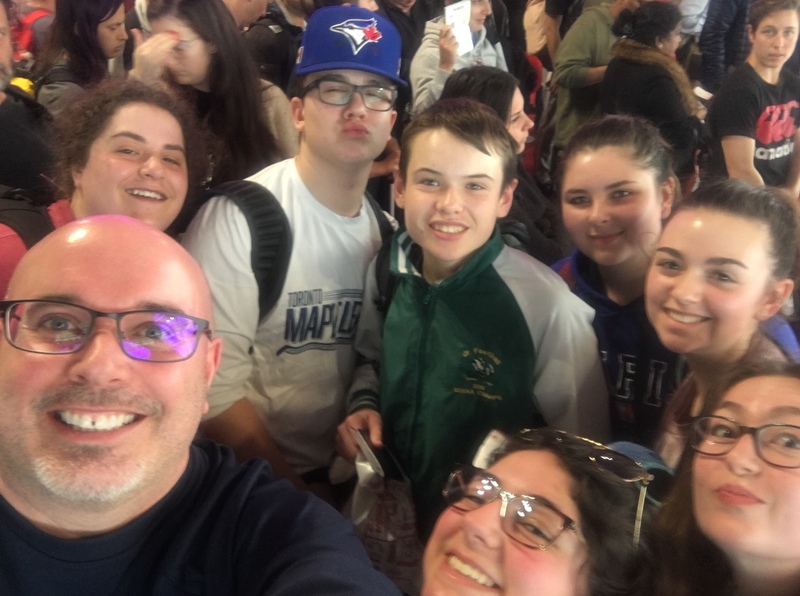 Jason even commended us on how, with a very large group, we were able to navigate the Metro with a fair amount of competence. Let’s hope it continues tomorrow.